Our fields of activity include hotel properties throughout Germany; Hotels or hotel developments, as an Investment or vacant possession. Regardless of whether it is a city, holiday or business hotel. We support you with our know-how. Do you have a specific case in mind and would like an initial non-binding consultation? Do you want to sell your hotel? Are you thinking about selling your hotel property in the short or medium term or have you already made the decision? You can find out more here or contact us directly for an initial non-binding conversation! 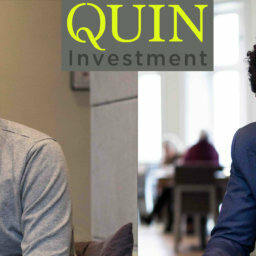 QUIN Investment will support you with an individual sales strategy for your hotel property, regardless of whether it is an existing hotel or one under development, whether it is in the countryside or in the city and whether it has or does not have a hotel operator. Why should I sell my hotel? The value of a hotel property is not measured by the size of the plot or the amount of usable space. A comparison with residential properties is therefore not possible. A hotel is an operator-run property and is therefore in a special category. As the name suggests, the value of a hotel property depends to a large extent on the success or failure of the hotel business. Other factors include the location of the hotel, the condition of the buildings, optimisation or expansion potential and the current state of the hotel transaction market. We are currently in a seller’s market, i.e. the demand for hotel properties is significantly higher than the supply available. Particularly in major German cities, but also increasingly in B and C locations. This is also reflected in the hotel transaction market, which has set one record after another in recent years and has already broken the €5 billion mark. What do I have to consider when selling? Keep on working as though you were not selling! The sale can take several months, and a downturn in trade can also have a negative effect on the selling price. You should therefore optimise whatever aspects you can in order to give investors a positive overall impression. Perhaps the front of the hotel has needed an overhaul for years or perhaps there are fire protection regulations that still need to be implemented. You should still invest in individual cases like these. QUIN Investment will also provide you with a detailed list of information and documents required for the sale. We will also be happy to tell you, based on our experience, when the right time is to inform your employees of a planned sale. How do I proceed if I am interested in selling my hotel property or would like to find out more about it? If you are thinking about selling your hotel property, please give us a call. We can then discuss the key points on the phone in confidence. Following that, we will come and get an overall impression of the hotel in person, free of charge and without obligation. We will do this very discreetly and of course only after consultation with you. In order to find out what we need to know, we will have to visit the different types of room, the conference rooms, the wellness area, the restaurant and also the kitchen and the cellars. Following our appointment, we will prepare a non-binding offer for marketing your property. This offer includes a cost-free market value assessment of your hotel property as well as an individual recommendation for which marketing process we would suggest for you. Depending on the hotel, its location and the field of investors, there are advantages and disadvantages to both options which we will be happy to explain to you in a personal discussion. When do I need a new lessee? You are the owner of a hotel property and have run it yourself until now. For a variety of reasons, you now want to hand over the hotel business to someone else. Reasons for this include, for example, illness, a lack of succession arrangements or other private or economic factors. You have already leased your hotel property to hotel specialists or a hotel chain and the lease agreement is expiring. If you were not entirely satisfied with the lessee or if you are able to achieve significant increases in lease payments through a new lease with a new operator, it is worth considering a new lease. Unfortunately, the situation can arise whereby the lessee is considerably behind with the rent due to financial difficulties. In this case, it is also worth considering a new operator. Who should I consider as a lessee? The most important thing first: the lessee who pays the highest rent is not necessarily the best operator! It must also be possible for the lessee to earn and pay a high rent on a sustainable basis. It is also important to decide whether it makes more sense to lease the property to private hoteliers or to a hotel chain. Both must be decided on an individual basis, and both have advantages and disadvantages. Of course, proof of creditworthiness and eligibility must be provided and checked beforehand. 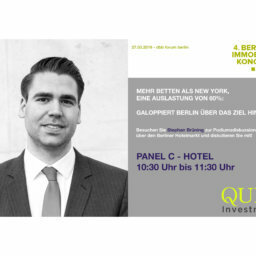 QUIN Investment will be happy to support you in this, so that you can place your hotel in safe hands. In addition, QUIN Investment will tell you which leases are currently being paid in which areas, but this too depends heavily on economic indicators and the potential of the hotel business. What do I have to consider when leasing? Keep on working as though you were not leasing! The leasing process can take several months, and a downturn in trade can also have a negative effect on the attainable rent. You should therefore optimise whatever aspects you can in order to give potential lessees a positive overall impression. Perhaps the front of the hotel has needed an overhaul for years or perhaps there are fire protection regulations that still need to be implemented. You should still invest in individual cases like these. QUIN Investment will also provide you with a detailed list of information and documents required for the lease. We will also be happy to tell you, based on our experience, when the right time is to inform your employees of a planned leasing. How do I proceed if I am interested in leasing or would like to find out more about it? If you are thinking about leasing your hotel property, please give us a call. We can then discuss the key points on the phone in confidence. Following that, we will come and get an overall impression of the hotel in person, free of charge and without obligation. This offer includes a cost-free rental price estimate of your hotel property as well as an individual recommendation for which marketing process we would suggest for you. Depending on the hotel, its location and the field of operators, there are advantages and disadvantages to both options which we will be happy to explain to you in a personal discussion. Did you know that you can also sell your business during an ongoing lease and thus generate an attractive sum of money for your success so far? Sell an ongoing business? How does that work? Most hotel operating companies take the form of a limited liability company. If you are no longer interested in continuing your current lease, you can simply sell the shares in your GmbH to an interested party. 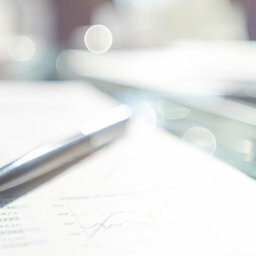 The latter then becomes a shareholder in the GmbH and enters into all rights and obligations of the operating company. Thus, the company continues to be a contractual partner in the lease agreement, but under different management. We will also be happy to advise you on other company configurations. Your operating company, including all its structures, customer data and verifiable profit, can be very valuable. Particularly if you signed the lease agreement a few years ago and the agreed rent is considerably lower than the current market value. Parties interested in a hotel business of this kind are keen to secure a long-term lease agreement with favourable conditions. In these cases, the fee can quickly reach several hundred thousand euros. QUIN Investment will be pleased to advise you on the possible amount of the transfer fee for your operating company, which depends mainly on the location and income of the hotel and the term of the lease, the amount of rent and the further contents of the existing lease agreement. What do I have to consider when selling my hotel business? The sale can take several months, and a downturn in trade can also have a negative effect on the selling price of the operating company. You should therefore optimise whatever aspects you can in order to give prospective buyers a positive overall impression. Perhaps there are fire protection regulations that still need to be implemented. You should still invest in individual cases like these. QUIN Investment will also provide you with a detailed list of information and documents required for the sale of the operating company. We will also be happy to tell you, based on our experience, when the right time is to inform your employees of a planned sale of the business. How do I proceed if I am interested in selling my hotel business or would like to find out more about it? If you are thinking about selling your hotel business, please give us a call. We can then discuss the key points on the phone in confidence. Following that, we will come and get an overall impression of the hotel business in person, free of charge and without obligation. Following our appointment, we will prepare a non-binding offer for marketing your business. This offer includes a cost-free market value assessment of your hotel business as well as an individual recommendation for which marketing process we would suggest for you. Thanks to our many years of experience in the real estate sector, we have been able to build up an extensive network of property investors, banks and high net worth individuals (HNWI). The business partners we deal with on a daily basis are rarely just hotel investors, but property investors who invest in the most diverse asset classes. As a result, there are always opportunities to sell properties in other asset classes, such as residential, office, nursing/care or logistics. Even if this segment plays a minor role, QUIN Investment uses its network to create synergies. If you are interested in asset classes other than hotel properties or would like to sell a property in one such field, please contact us! Would you like to sell/lease your hotel or sell your hotel business and would welcome some support or an initial information meeting? Are you looking for a hotel or properties in other asset classes? We look forward to receiving your specific requirements. The more detailed you make your request, the better and faster we can find your new hotel!